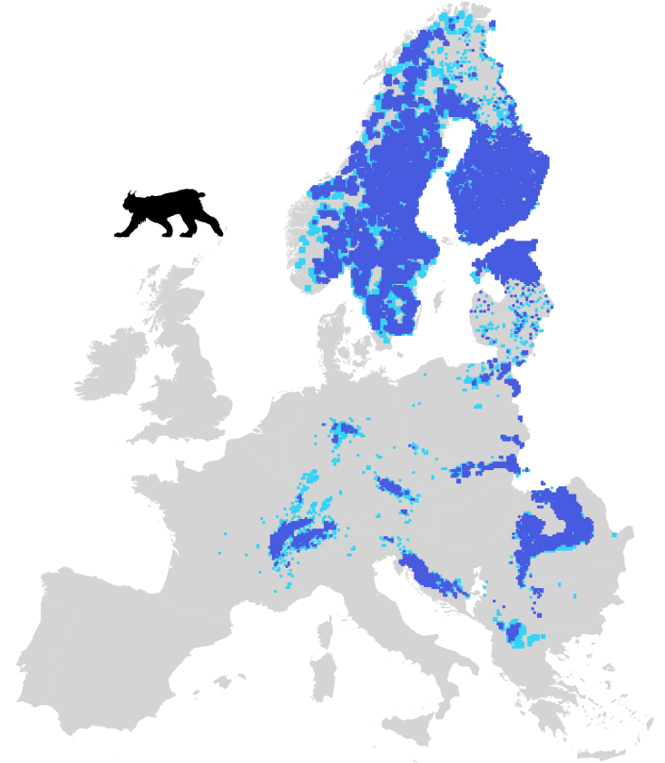 In 2012 the conservation status of European large carnivores was assessed by a group of experts from each country where large carnivores are present. This information has been recently updated for 2012-16 (see the LCIE website for more information). 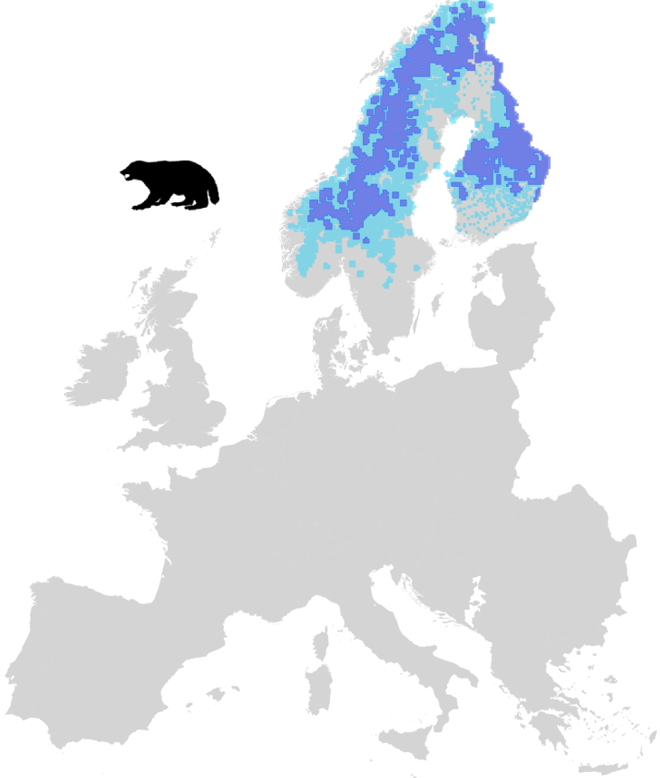 Although the available data and the methodology used varied greatly from country to country, the information presented below represents the best available independent assessment of large carnivore status. 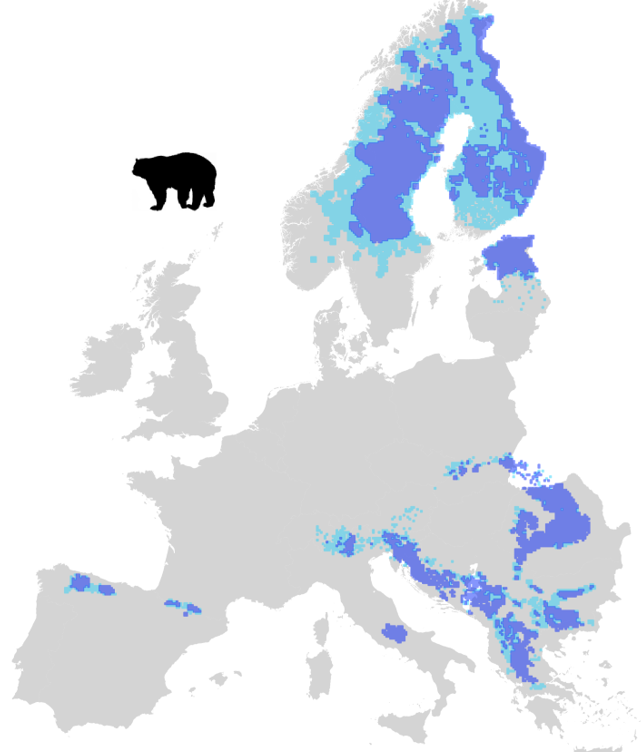 Continental Europe (excluding Russia and Belarus) is home to 1,000-1,250 wolverines (600 to 800 in the EU), 8,000-9,000 Eurasian lynx (7,000 to 8,000 in the EU), 17,000 brown bears (15,000 to 16,000 in the EU) and 17,000 wolves (13,000 to 14,000 in the EU). The 32 populations comprise of between some tens of individuals up to several thousands, crossing several borders of up to five EU countries. 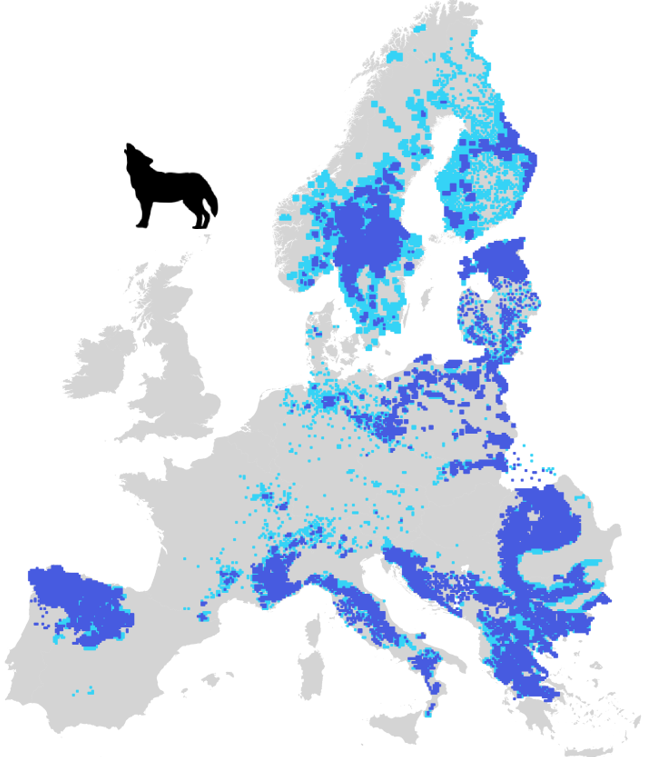 The population status of large carnivores for 2010-12 can be viewed here.